Ukrainians say the biggest problem facing their country ahead of a crucial presidential election in March is the same one that ushered in the current head of state in the first place: war. It’s been almost four years since officials from Ukraine, Russia, France, and Germany agreed on a way to end a hot phase of the conflict between Ukraine’s central government and Russia-backed separatists in the east. Fast forward to today, and that deal, known as the Minsk accords, has largely failed, much to the dismay of most of Ukraine’s 44 million citizens. Sporadic fighting has killed more than 10,000 people and displaced 2 million more from an area sliced through by a 500-kilometer “line of contact” teeming with land mines. As the war grinds toward a sixth year, there is no end in sight. Just don’t insist on seeing the fine print. In fact, that’s already happened. Candidates Yuriy Boiko and Oleksandr Vilkul, whose opposition parties are regarded by some as Russia-friendly or pro-Russian, have suggested any peace deal should include compromises and dialogue with the separatists — a nonstarter for many Ukrainians who equate such a move with capitulation. One candidate who has laid out a “new strategy for peace and security” is Yulia Tymoshenko, a former gas executive and prime minister who lost a presidential runoff to Viktor Yanukovych in 2010 and looks like a front-runner in the looming race. She proposed a “Budapest+” negotiating format involving the European Union, China, France, Germany, Russia, the United Kingdom, and the United States. The name is a reference to widely lauded quadrilateral talks in 1994 at which a newly independent Kyiv agreed to give up the world’s third-largest nuclear arsenal in exchange for security assurances from Washington, London, and Moscow. Russia’s annexation of Crimea in 2014 and support for armed separatists in eastern Ukraine marked a clear abrogation of that commitment, in most Ukrainians’ eyes. But throughout, Tymoshenko was short on her plan’s specifics. “It does not reject the Minsk agreements and does not say what may be compromised regarding Donbas,” Fesenko says in a reference to the eastern regions where separatists control large sections of territory. Another candidate, Volodymyr Zelenskyy, who plays a fictional president in a TV comedy series, recently offered voters something along the lines of “we’ll meet in the middle” when asked how he might resolve the conflict. Many of the two dozen people who have declared their intention to run — 17 of them already registered ahead of the February 8 deadline — have talked about ending the war, albeit in extremely vague terms. Polls have shown Ukrainians’ desire for peace growing as the election approaches. A poll published in November suggested 57 percent of people saw the Donbas conflict as the country’s most pressing issue, ahead of corruption. That was up from 53 percent in June. 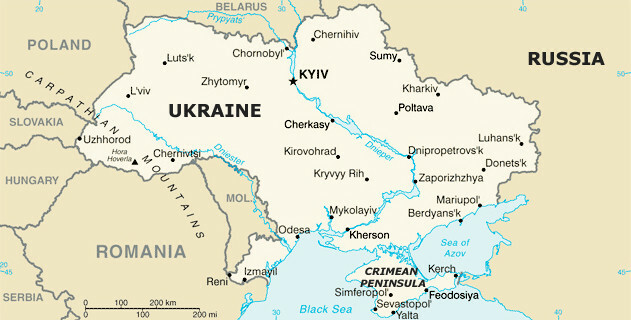 Later the same month, another survey put that number at 66 percent of Ukrainians. By December, more polling said 72 percent of Ukrainians regarded the war as the country’s biggest problem. Volodymyr Fesenko, director of the Kyiv-based Penta Center for Political Studies, says there are three main reasons why candidates avoid details when it comes to ending the war. A peace breakthrough that could dramatically sway the race in Poroshenko’s favor is unlikely before the election, given Putin’s public disdain for the former businessman. But both Fesenko and Haran suggest the war’s hold on many voters, at least those farther from the war zones, might recede as election day nears. They point to the same polls indicating that the war falls to third or fourth place — after economic issues, such as utility prices, salaries, and pensions — when Ukrainians are asked what the most important issues are for their families. Ukraine’s roughly 36 million voters must be wondering if the same is true of their country.